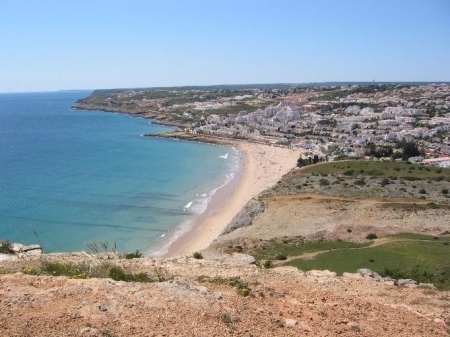 Apartamento Azul is a fantastic new apartment right in the heart of Praia da Luz. It is the largest in an exclusive new development of only 8 apartments which share their own private pool and are ideally located in the heart of the resort and only 5 minutes walk to the beach. 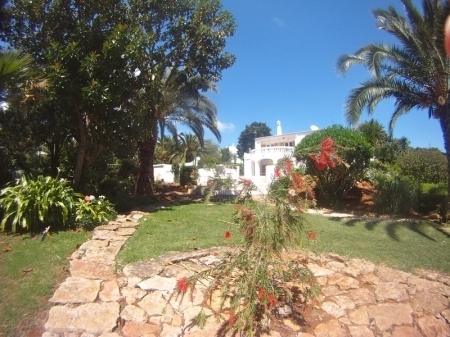 It is very spacious at 156m2 and all the rooms are large, light and airy. As well as the pool and pool terrace the apartments also have a wonderful large roof terrace with stunning views in all directions including to the sea. Apartamento Azul itself has 3 private balcony/terraces, two sea facing with views to the sea and the third overlooking the pool. 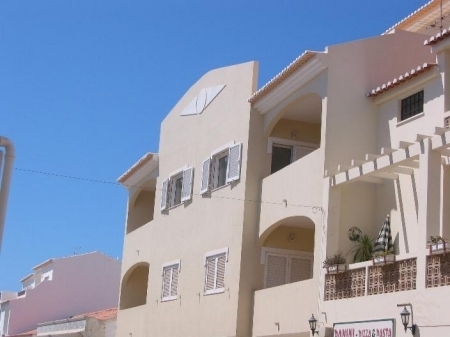 For those who know Praia da Luz the apartment is located on the Rua Direita, the cobbled road that runs through the centre of Luz parallel to the beach. 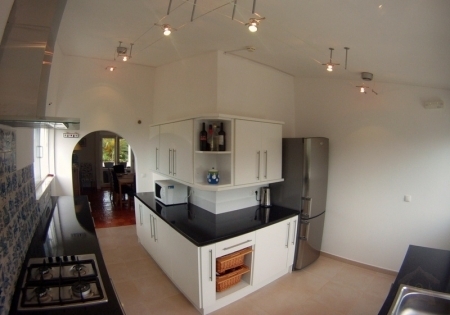 Apartamento Azul has 2 bedrooms and 2 bathrooms and can sleep 6 people (+ cot). There is also a secure communal garage in which Apartamento Azul has its own private locked garage for 2 cars. Just email or telephone me (email contact button and phone number below) and I will put your required dates on hold for you and forward you a booking form. Completion and return of this form along with a deposit of 25% will confirm your holiday. We are able to accept payment in Pounds Sterling, US Dollars or Euros by either cheque or bank transfer. We can also accept payment by credit card via PAYPAL, but wiill need to charge an additional 3.5% on the rental rate as that is the cost to us of accepting payment in this way. Our booking terms are 25% deposit at booking. This deposit is non-refundable and we therefore strongly advise that guests cover the holiday cost by taking out travel insurance at the time of booking. The balance of the rental cost is due 8 weeks before the start of the rental. A security deposit of GBP250 is payable with the balance payment. This includes GBP25 for safe return of the keys after the end of the holiday. We have local management agents Rosemary Reynolds Property Management who will visit you at the start of your holiday.They will answer any questions that arise and can advise on local events etc. There is a twice weekly maid service and the linen is changed weekly. All bed linen and towels for indoor use are provided.Please bring your own towels for poolside and beach use. 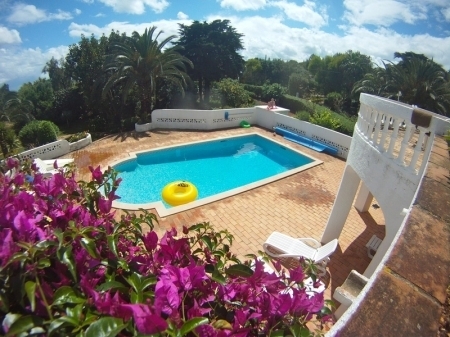 The apartment is available to you from 14.00 on the day of arrival and should be vacated by 10.00 on the departure day. This is to allow time for the maid to prepare the apartment between groups. Cot and high chair hire can be organised for you. The cost of these are:cot hire £22 per week and high chair hire £7 per week. A food and supplies delivery from a local supermarket can be arranged for your arrival. They make no charge for delivery, but will only accept orders valued at £22 or over.